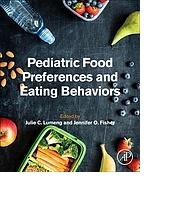 Pediatric Food Preferences and Eating Behaviorsreviews scientific works that investigate why children eat the way they do and whether eating behaviors are modifiable. The book begins with an introduction and historical perspective, and then delves into the development of flavor preferences, the role of repeated exposure and other types of learning, the effects of modeling eating behavior, picky eating, food neophobia, and food selectivity. Other sections discuss appetite regulation, the role of reward pathways, genetic contributions to eating behaviors, environmental influences, cognitive aspects, the development of loss of control eating, and food cognitions and nutrition knowledge.